Following a separation or divorce the most important thing to a couple with children is establishing custody and parenting time. Spending time with children is vital to maintaining a healthy parent and child relationship. Unfortunately, some parents place their own needs and wants ahead of the basic needs of their children. The best interest of the child should always come first when determining any custody arrangement. There are certain parenting time considerations that should always remain in the forefront of your mind. School is one of the primary things that is taken into account when creating a parenting time agreement. Not only is the parent’s proximity to the child’s school important, the child’s ability to benefit from all of the services offered by their school is vital. The parenting agreement should not disrupt the child’s attendance or education in any way. Both parents must work together to ensure that time spent with either parent does not prevent the child from attending classes, taking tests, or going on important field trips. The mental and physical health of all children must be maintained throughout the separation or divorce process. Conditions should be included that require each parent to get the child or children to any scheduled medical appointment. Children dealing with any type of chronic illness that requires regular medical attention cannot afford to have their treatments postponed or canceled because of parenting time disagreements. Parents must always be prepared to spend part of their time at scheduled or emergency medical appointments. No parent should ever ignore health care solely because an appointment interferes with the parent’s plans. Parenting plans for younger children are often easier to manage since there are no school considerations to take into account. As a child gets older and starts attending school parenting time can become more complicated. Children participating in extracurricular activities such as theater, band, or any sport are required to attend numerous practices, performances, and other events. These events must be incorporated into any parenting time arrangements and neither parent can disrupt a child’s extracurricular activities. Even during the most amicable divorce disagreements regarding fair parenting time can occur. 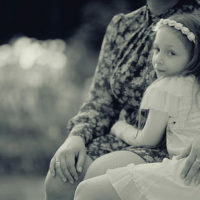 Though both parents may have the best interests of their children at heart, if either party feels that the time spent with their children is uneven a situation can quickly become contentious. Once the discussion regarding custody or parenting time deteriorates it is time to consult a qualified attorney. If you or someone you love is having trouble regarding fair parenting time, the Mander Law Group can help. Our law group’s attorneys have previously helped settle parenting time disputes and can provide you with the assistance you need to come to a fair agreement with your former spouse. Conveniently located in Zephyrhills and Dade City, our family law attorneys are able to provide you with a free consultation to discuss your unique case. Call the Mander Law Group today at 813-948-1422 (Zephyrhills office) or 352-567-0411 (Dade City office) to schedule an appointment. © 2016 - 2019 Mander Law Group. All rights reserved.